SURF GETAWAYS JUST FOR YOU! Over ten years ago former professional surfer turned elite coach and mentor Jenny Boggis and Byron Bay surf school owner Serena Adamsplanted an idea, a dream to work together doing what they love and supporting girls and women in the ocean. Fast forward to 2017 and the pair have launched their dream with all the bells, whistles and 5-star premium quality experiences, just for us. 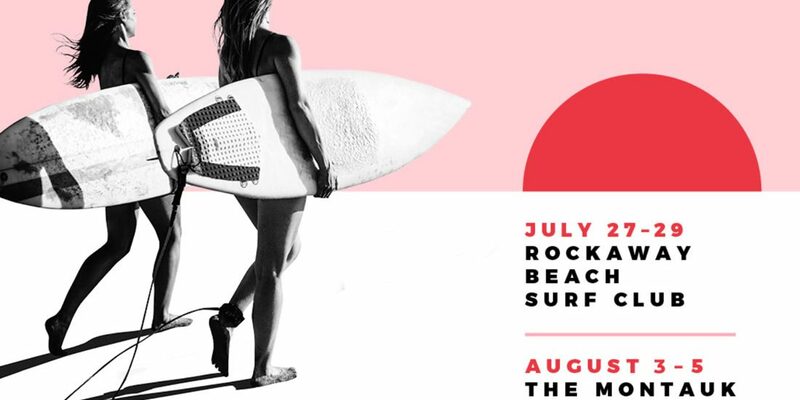 It’s a fully packaged girls surf getaway that includes access to the most thorough and effective surf coaching and analysis for any level of surfer from beginner to pro. It also includes all accommodation and meals in pure luxury, yoga, massage. Surf Getaways hosts groups of women only in both Fiji and Byron Bay, NSW. Passion and professionalism for surf and the surf industry flow out of Jenny. She’s just so stoked to be able to finally offer such a great opportunity for girls to have the right support and be given the best advice with their skill progression. She has a real skill when it comes to communicating just what you need to hear and helping you understand and translate that into actions in the water. Not only are the talented women providing group getaway packages, but they can create custom weekends or week retreats for you and your family or group of best friends. If you’re in desperate need of a break and want to be reinvigorated by the ocean and for your love of surfing, we have a special 10% off the upcoming Byron Bay retreat with our code MERMAID10. See all the details & BOOK YOUR TRIP NOW!